Is the Place to Visit! Welcome to Spicer Sports and Marine! When you are looking at buying recreational equipment, there are three areas of concern... pricing, product knowledge, and quality products. 1. Pricing... We offer some of the most competitive pricing on recreational vehicles and accessories in the area. Stop in or give us a call to compare prices. 3. And quality products... Spicer Sports and Marine offers the finest quality recreational equipment. For your sporting enjoyment we sell the highest quality equipment like sleds and ATVs from Arctic Cat and boats from some of the most recognized industry leaders in boat safety, quality, and performance like Bayliner, Crownline, and Misty Harbor pontoons. Powered by products from Honda, Mercury, and Yamaha. Quality products from companies you trust at affordable pricing sold by people you know. We have the products, the pricing and the knowledge. We are also and authorized dealer of Shoremaster docks and lifts. We carry a variety of sizes and accessories for all your lake-front needs. And don't forget toys for on the water.... Tubes, Skis, & Wakeboards from O'Brien Watersports and other major manufacturers! We deliver more than just your favorite recreational boats and motors. We deliver outstanding customer service. From helping you choose your boat, sled, and accessories, to giving you pointers on the hottest fishing spots or best sledding trails to servicing your boat or sled, the people at Spicer Sports are there for you. When it comes to any type of summertime or wintertime recreation and equipment... 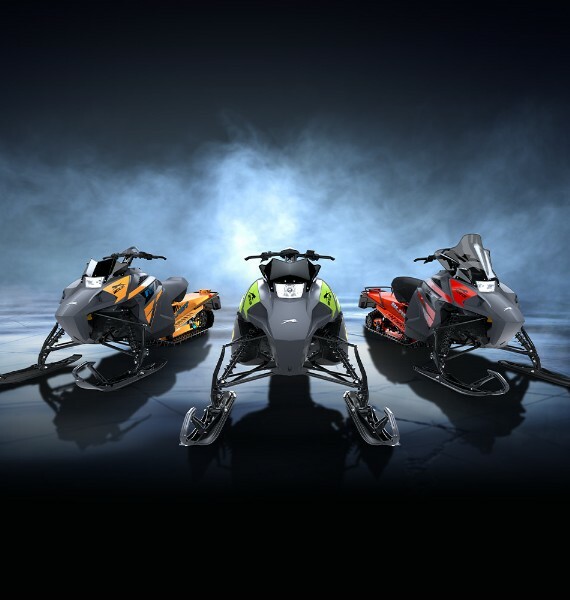 Whether you are looking for a new or used sled... or parts... or excellent service for your sled... or the latest in Arctic Cat apparel...... Spicer Sports & Marine is the place to come! Misty Harbor Pontoons: Click here to view the models.